Inevitably, there are periods in our lives when we all feel a bit down; sadness after a quarrel with a loved one, disappointment that we did not get the job that we hoped for, anger because we think someone has behaved badly towards us, or regret if, on some occasion, we feel we have not conducted ourselves as well as we could have. Most of the time we are able to make up after the quarrel, perhaps look for a better job, or put aside the anger we experienced, and move on. But, supposing that for some reason, we find ourselves unable to “move on”? Some aspects of life, which others seem to be able to manage with little difficulty, become a major problem for us, putting us in a state of recurring anger, anxiety, or feelings of guilt. The worst part about these feelings, that we experience, is that they can induce unproductive behaviour which may cause persistent difficulties when dealing with some aspect of our personal, social, or schooling/working life. One of the major concerns for most of us when considering psychotherapy is that we may have little or no idea of what to expect. If you have to go to your doctor with a cold or an ear ache, you have at least some idea of what sort of treatment to expect. But psychotherapy? Is it just a chat between two people, one of whom calls him- or herself a clinical psychologist (and charges a fee for it)? Or is there more to it than this? Psychotherapy can help you develop insight into the causes of your emotions and consequential behaviour, and it can create the basis for you to adopt more productive ways of dealing with them. Psychotherapy does not offer a cure like medicine for an illness. The aim is to equip you with the knowledge and tools to become your own counsellor so that you can successfully address problems or difficulties that might arise, even long after therapy has finished. Since therapy often involves discussing unpleasant aspects of your life, you may experience uncomfortable feelings like sadness, guilt, anger, frustration, loneliness, and helplessness. On the other hand, psychotherapy has also been known to have benefits for people who choose to engage in the process. Therapy often leads to better relationships, solutions to specific problems, and significant reductions in feelings of distress. I know that sometimes taking the first step, and asking for help, can be an extremely difficult thing to do, but I am here to accompany you on your unique journey towards better mental wellness. 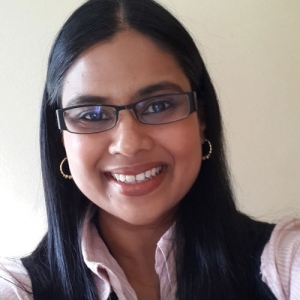 I am a Clinical Psychologist working in private practice at the Core Sport and Wellness Medical Centre in Durban North, Durban. I see children, adolescents, and adults for various psychological issues. I have a special interest in Child and Adolescent psychopathology. Currently I am registered with the Health Professionals Council of South Africa (HPCSA), and the Board of Healthcare Funders of Southern Africa. I provide one-on-one psychotherapy, counselling and psychological assessments, for children, adolescents and adults dealing with a variety of difficulties and life challenges. Adults: Depression, Anxiety, Panic attacks, Obsessive compulsive disorder (OCD), and problems associated with major life changes, including transitions and illness. Children and Adolescents: ADHD, Conduct and behavioural problems, Trauma, Cognitive impairments, adjustment to major life changes. MY PSYCHOTHERAPY SERVICES ARE OFFERED IN THE ENGLISH LANGUAGE.